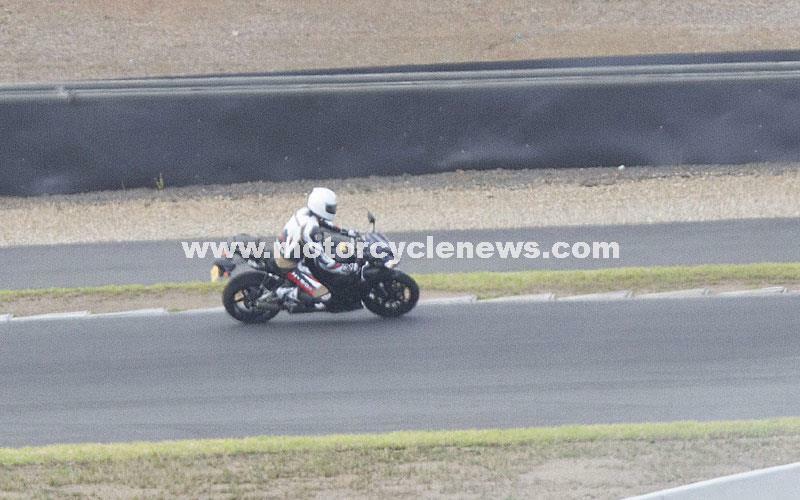 Early prototypes for Yamaha’s next-generation R1 superbike have been spied being put through their paces by the firm’s test riders. 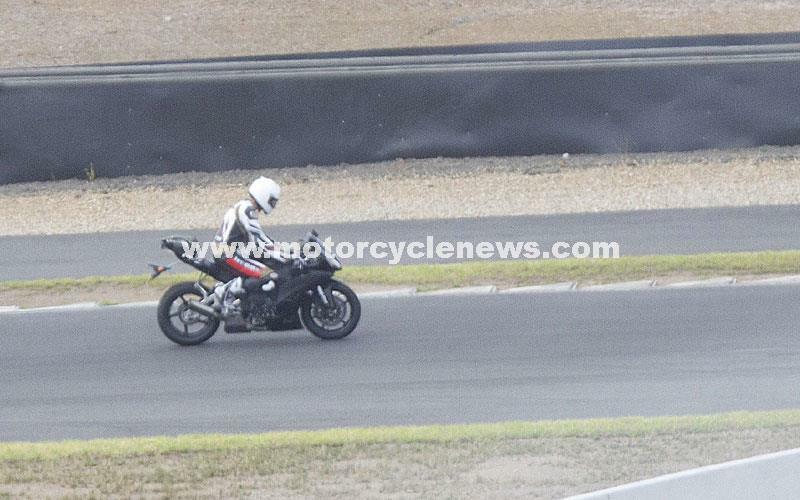 Two of the machines were caught by our colleagues at Australian Motor Cycle News as they were pitted against the bike that’s become the standard-bearer for the 1000cc class, BMW’s S1000RR. Don’t be fooled by the temporary bodywork, which is far from the final appearance. In fact, Yamaha appears to have simply wrapped its new machines in leftover 2008-spec R6 panels, providing some wind protection and working as a convincing disguise. But a closer look reveals that these are no R6s. The biggest clue to the bike’s real identity is the large exhaust collector box mounted below and behind the engine and feeding the side-mounted end can. It’s far larger than the R6 exhaust collector, as befits a 1000cc engine instead of a smaller 600, but it also points towards a sea-change in the thinking behind the R1’s development. In the past, despite its high performance and racing intentions, Yamaha has always considered the R1 as a luxury range-topper while the R6 has been its more extreme race-replica. That’s why the smaller bike has long featured a stubby side-pipe, inspired by the YZF-M1, while the R1 has used underseat exhausts. Now, however, it seems that the mass-centralisation advantages of the stubby exhaust and under-engine collector box have won the day, and those under-tail end cans have been shown the door. 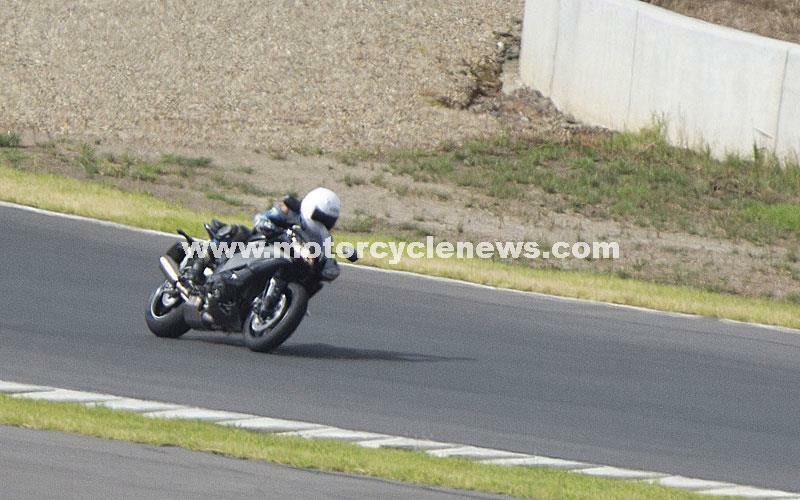 Although that might seem a minor alteration, it’s led to wholesale changes to the bike’s chassis. Today’s R1 uses a swingarm with bracing hanging underneath, allied to a low-mounted rear shock, in turn clearing space for the high-mounted exhaust. Now that’s all changed, with bracing moved above the swingarm and the rear shock mounted far higher to make space for the new exhaust collector box. Perhaps unsurprisingly given the proven advantages of mass centralisation, the same solution is already used on the BMW S1000RR, Honda’s Fireblade and Kawasaki’s ZX-10R. 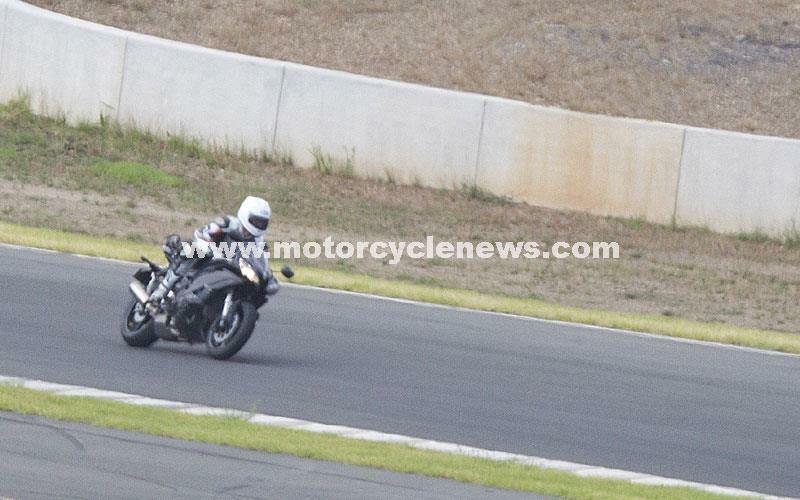 It’s a layout that Yamaha has used on the R6 for years, which is why the bodywork from the smaller bike works so well as a disguise. Coincidentally, during its early development, BMW also used Yamaha R6 panels to disguise the S1000RR; despite their greater capacity and performance both the BMW and the existing R1 have physical dimensions that are virtually identical to an R6. At the front, the changes again point towards a more serious racing intention and the fact that the superbike class has become so competitive – both on track and in showrooms – that elegance has to take a back seat to performance. Here it’s the central air intake that’s the big news. Again, that’s well recognised as the most effective place to put an air duct, rather than the twin side-mounted intakes used on the existing R1. And again it’s a design already proven on the R6. Although the R6 disguise is effective, there are several clues that the bikes are more than they seem. The bodywork has been hacked about, particularly the bellypan and the rearmost edges of the side panels, which have been cut back to expose more of the engine. Evidence, perhaps, that this motor wouldn’t squeeze under the panels in their original form, or that extra cooling is needed. The motor itself also looks different, with new cases that hint at a higher-mounted crankshaft – a likely result of reworking the engine’s design to create extra space for the exhaust underneath.